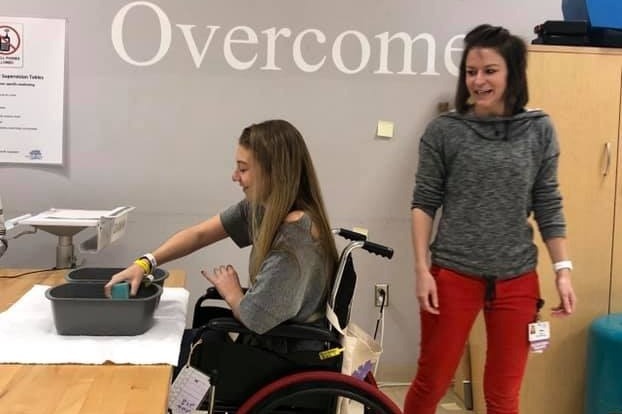 Fundraiser for James Bradner by Pierce Bradner : Help Bring My Sister with Paralysis Back to U.S.
Update: Thanks to the outpouring support and the attention from social media we have just learned that the travel insurance company has agreed to get Caroline home. We will utilize all funds for her medical costs and rehabilitation. If there are any additional funds they will be donated to GBS/CIDP Foundation International. On December 22nd, my sister, Caroline woke up in her apartment in Thailand, unable to move. Just the day before she started feeling weak and it became hard for her to walk. She went to the hospital, they performed some blood work, and believed it might be multiple sclerosis. They gave her some medicine and sent her home. What started as muscle weakness in her abdomen, worsened into paralysis over the course of two days. 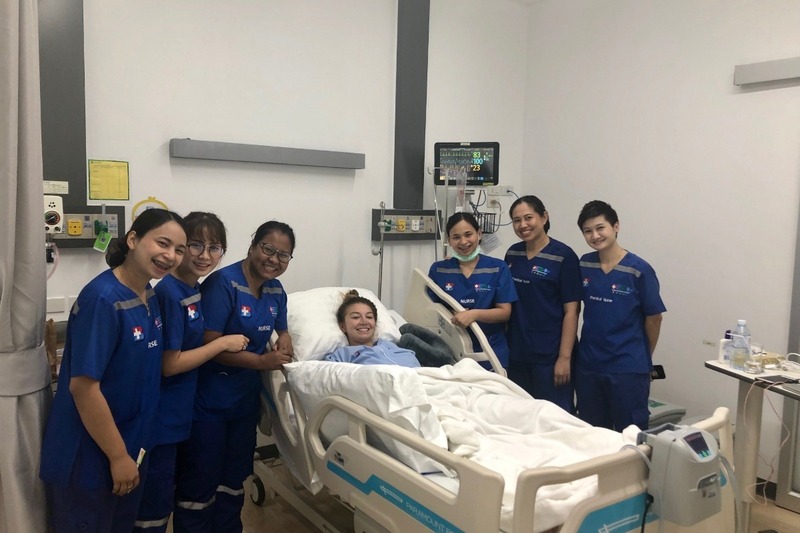 Thankfully, she had a friend with her to call an ambulance and get her to the hospital where she was diagnosed with Guillain Barré Syndrome (GBS). GBS is a rare autoimmune disease that causes your immune system to attack your nerves. It affects 1 in 100,000 people each year and comes on suddenly with little warning. Caroline has been going through treatments to help her condition. She is improving, but is still paralyzed and it looks like this will be a long recovery, lasting from months to years. Our Mom was able to fly out on Christmas Eve to be with her and will stay in Thailand until we can get them both home. We need Caroline to come home so that she can be treated at VCU medical center in Richmond, Virginia and begin her long road to recovery. Insurance has denied our request for any transportation home and it could be months until she’s able to take a regular flight. 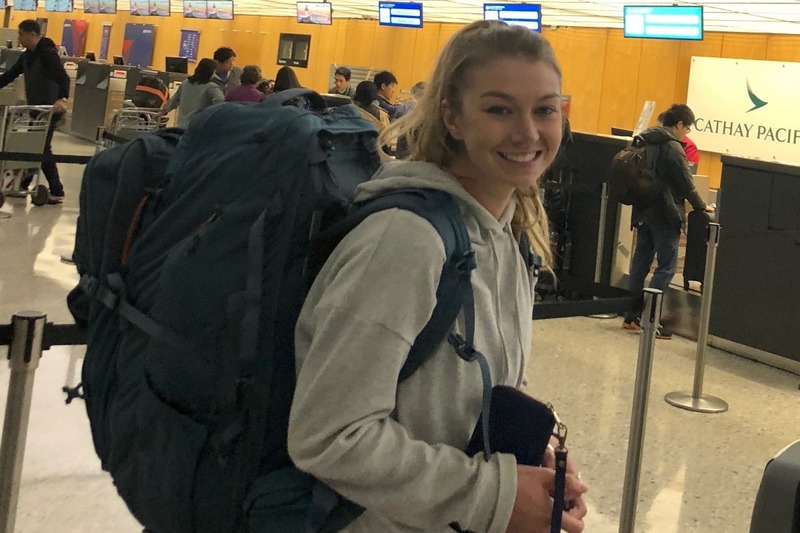 She will require a nurse and special seating on the airplane to make the trip home as well as future hospitalization and physical rehabilitation. This fund is to make sure that Caroline can get home and receive the best possible care. All donations will go to transportation in getting Caroline and our Mom home, hospitalization, and rehabilitation. We're still trying to get an exact number for transportation costs. Caroline’s journey to Thailand was an opportunity to teach english, to travel, and make a difference in this world. Please help us get Caroline home. If there is any amount you can donate we would be immensely grateful. If you can't donate, but still want to help, please help by sharing her story with as many family and friends as possible and by keeping her in your thoughts and prayers. Thank you for all of you who have reached out. We appreciate you all more than you know. Update! Caroline has been working hard in physical therapy and has been training to run Richmond's Monument Avenue 10k. Thank you for all of the support! Another update! Caroline got home from rehab about a week ago and could not be more elated to be back in her own bed and reunited with our dog, Cricket. 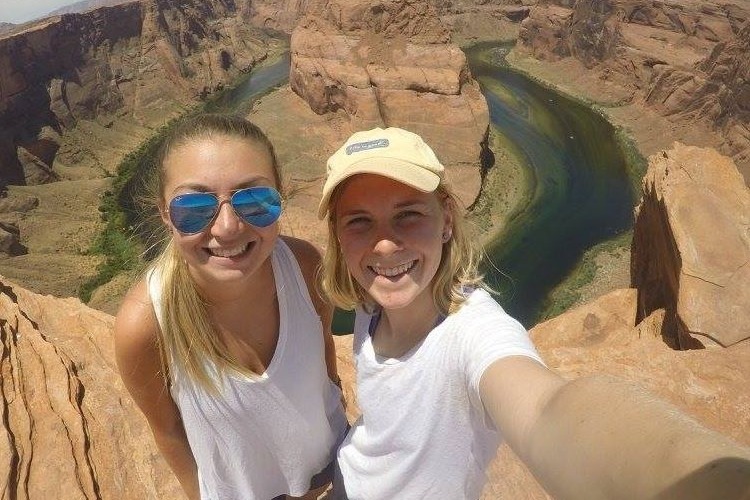 She continues to go to outpatient therapy and is continuing to progress. Some days are better than others but overall she is gaining more and more movement and has been visited by so many friends and family. Again, so thankful for everyone's support. Thank you all for your emails and encouragement. We really appreciate it. Hey Everyone! Another update! Caroline is continuing to work really hard in rehab. Here are a few photos/video of her regaining control of her movements. Caroline is continuing to do well and improve each day. 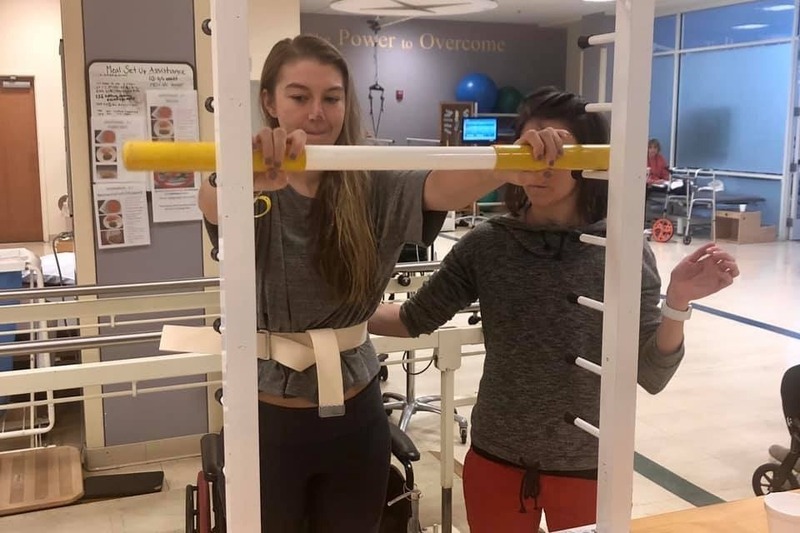 We are so proud of her and happy to report that she has moved into a rehabilitation facility and is working hard to regain strength in her arms and legs. 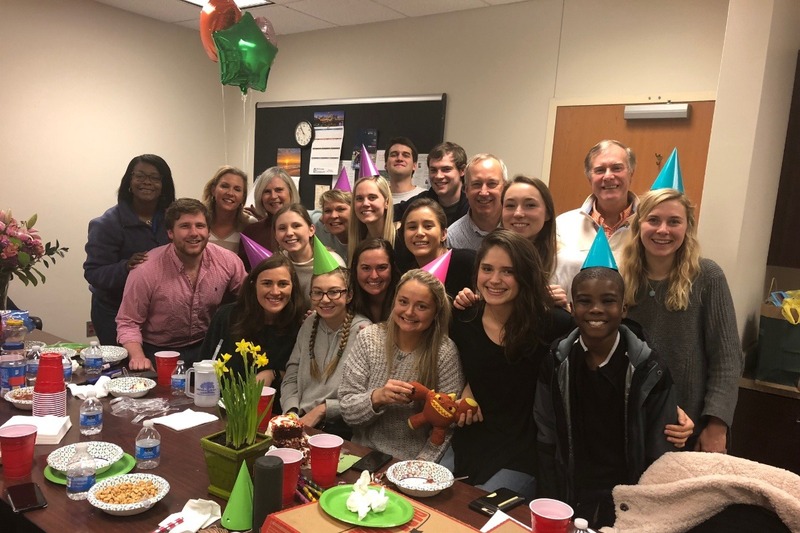 On Friday, we had a surprise birthday celebration with friends and family! Shelby Brown, from WTVR, and her son also joined the celebration. We are so grateful for her help in getting Caroline home!